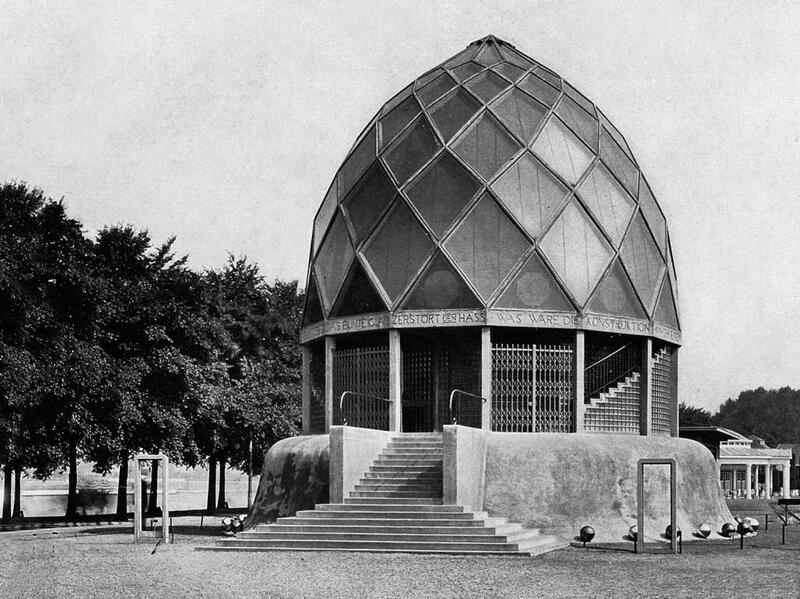 I’ve only ever known Bruno Taut’s Glass Pavilion through photographs and drawings, and they are always in black and white. But you have to imagine it as full of colour. Having climbed the concrete steps you would enter the dome where the roof was a grid of diamonds in yellow glass. Under your feet there was glass in the floor and a set of stairs to a level below, illuminated by an oculus. There the walls were silver and gold and a waterfall cascaded over underwater lights. It was a luminous world. Taut built the pavilion in 1914. 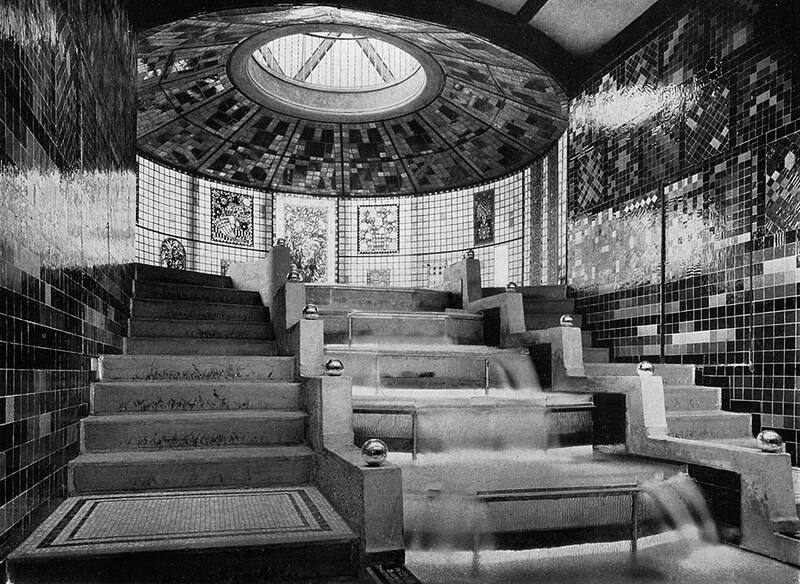 He had been working in Stuttgart for Theodor Fischer, an architect who was head of the Deutscher Werkbund, an association of designers and industrialists. In 1913 Konrad Adenauer, later chancellor of West Germany but at that time an aspiring inventor, organised an exhibition for the Werkbund. Taut was commissioned by the association of the German glass industry to design a building that would show their technical advances. The result, destroyed shortly after the exhibition finished, was groundbreaking. On the one hand it is an expression of the rational trajectory of modern architecture, and looks forward to the kinds of buildings we’re now familiar with, made from a kit of glass and steel. Yet it also has a poetic dimension. 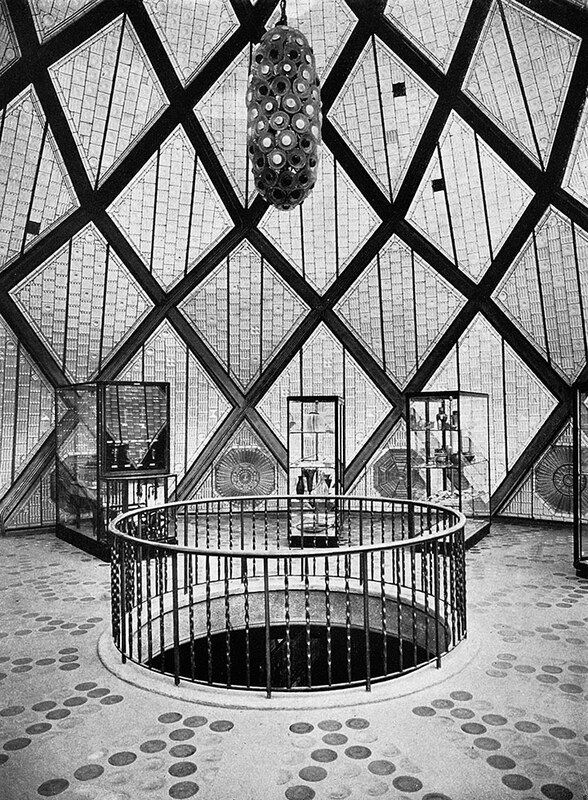 Taut was one of a number of German architects, later called the Crystal Chain group, who were interested in the iconography of the crystal, which was for them a profound metaphor – a mineral which allows light to pass through it, a rock without a shadow. It represented renewal and openness, a kind of Utopia. On the outside of Taut’s pavilion were aphorisms by Paul Scheerbart, a writer and friend. One of them read “Coloured glass destroys hatred”. The way this building is a fulcrum between the industrial, the poetic and the social has always fascinated me. There was a period at university when I was spending more time in the sociology department than in the architecture department, particularly when I was a student in Newcastle, where we were thinking about social housing. Then I went to the Royal College of Art, where I was cheek by jowl with people working with glass, fabric, printing, painting or sculpture. Like Taut, I carry this dual mantle. In 2008 I was commissioned to redevelop the church of St Martin-in-the Fields in London. I designed a glass pavilion as an entrance to the crypt beneath the church, with an oculus illuminating the underground space. The pavilion stood between the church, by James Gibbs, and a set of buildings by John Nash, part of his plan for Trafalgar Square. The glass walls created a building with no shadow, a presence without a presence, and they connected the earth and the air. I wasn’t thinking about Taut, but he was there subliminally. 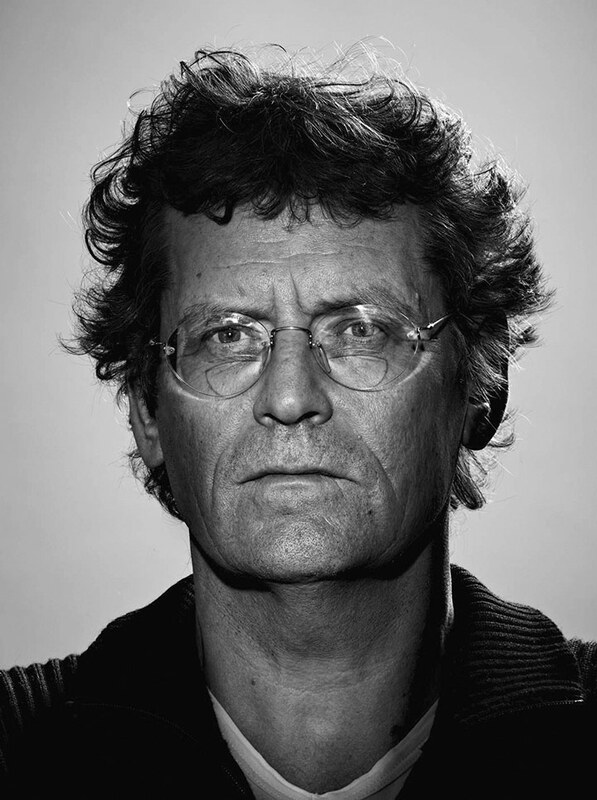 I feel charged by the poetic and metaphoric leanings of his work.